Friends of ours have a darling little boy we love who is 2 years old. He is as snuggly as any kid I’ve ever seen and one of his favourite toys is a little stuffed fox they call “Clooney" (think the voice in Fantastic Mr. Fox). 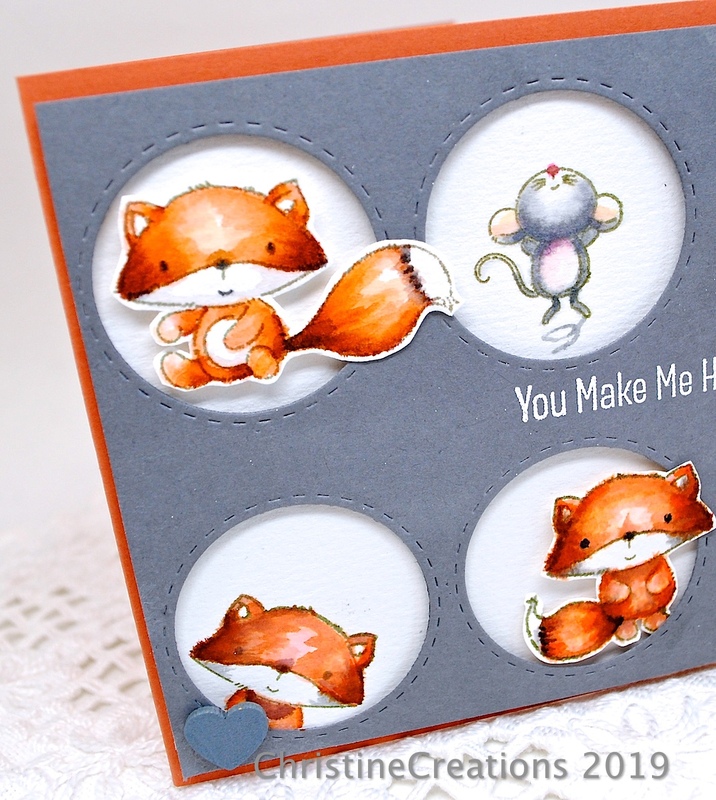 As soon as I saw this sweet little set from MFT called Fox and Friend, I couldn’t resist it! I knew the first card I would make with it was for our little buddy. He also has this sweet little happy dance he does whenever he sees our family (especially our kids), so this was the perfect sentiment, which I embossed. 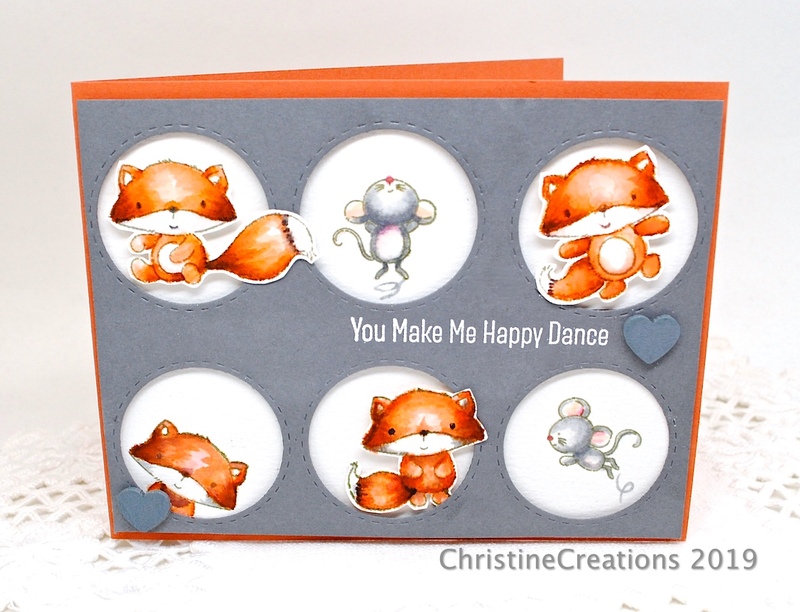 I’m playing along with MFTs Sketch Challenge 423 with these cute windows in the design using a stitched circle die. Little Clooney is watercoloured with Zig Clean Colour Brush Markers and I’ve added some cute details with the wood veneer hearts. Pure sweetness! I just love this type of illustration! Thanks for popping by today! What a darling card. Your little buddy is going to do a happy dance looking at the card! You made me smile, Christine! 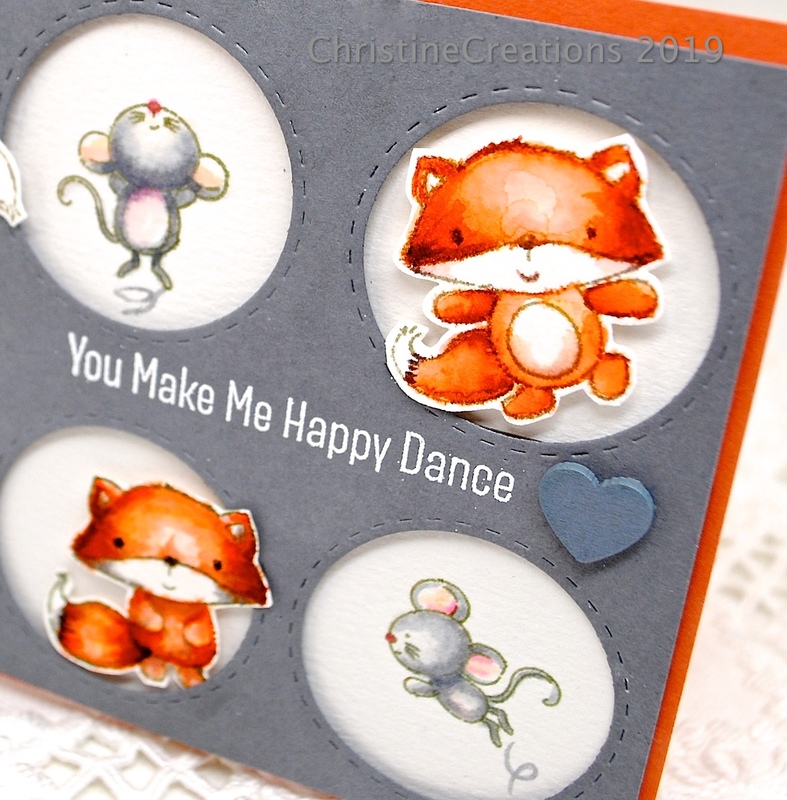 Not only with your adorable card (love this type of image, too), but also with the story of your little buddy and his happy dance. Melts my heart! oh my, all these critters are too cute, I just love the little mouse he just makes me smile I am sure the little boy will be too! Oh Christine what a lovely card! Super cute and perfect for your little buddy! I love your story of the happy dance, makes me smile!